I've come up with my own theory over the years that dogs assess their circumstances and choose a career. These links are about Bear Dog, an 18-year-old lab mix living in New Castle, Washington. 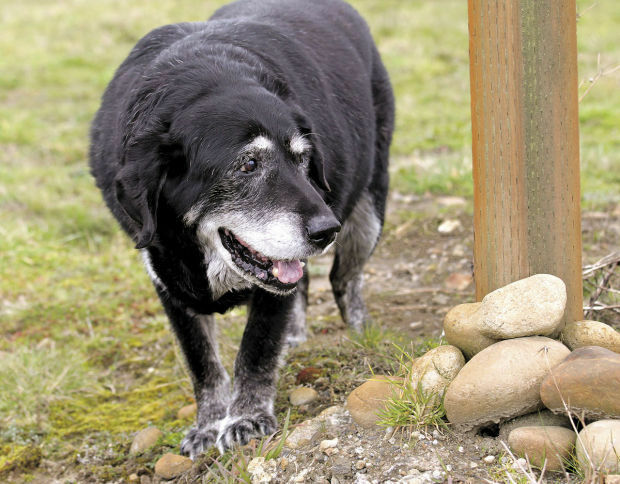 Bear Dog, over the years, has not only kept watch over his owner, Don Caulfield, but the town of New Castle as well. From hanging out at the local ball field to walking kids home from the bus stop, Bear Dog is so beloved by the community that he is the exception to every "no dogs allowed" rule in the town. Bear Dog has a friend, Tommy (a lab/dacshund mix), who often accompanies him. "'How he got so popular, I don’t know," Caulfield told the paper. "He done that himself.'"